Igo is Japanese version Othello. Do you know how to play? 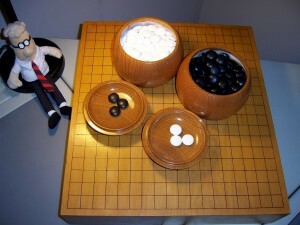 There is a game called Igo in Japan that is very similar to a game played overseas called Othello. 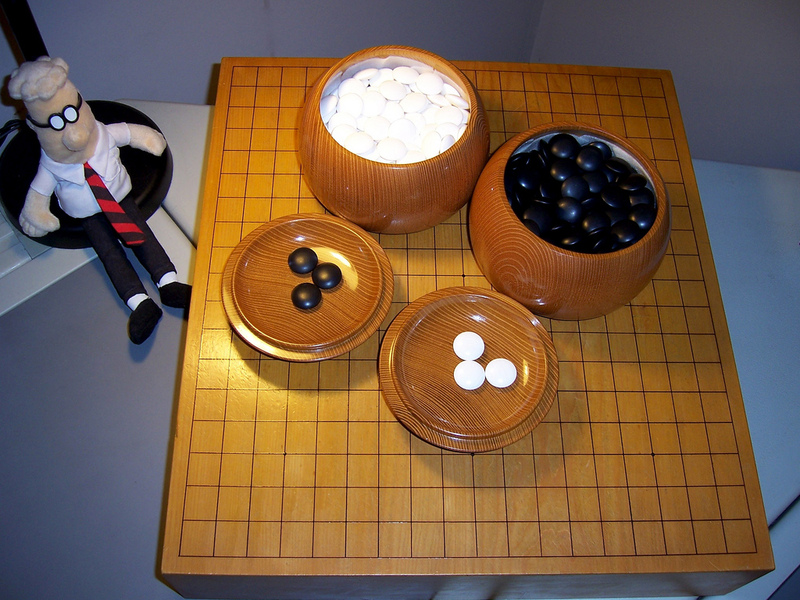 Igo is played using white and black pieces, much like Othello. 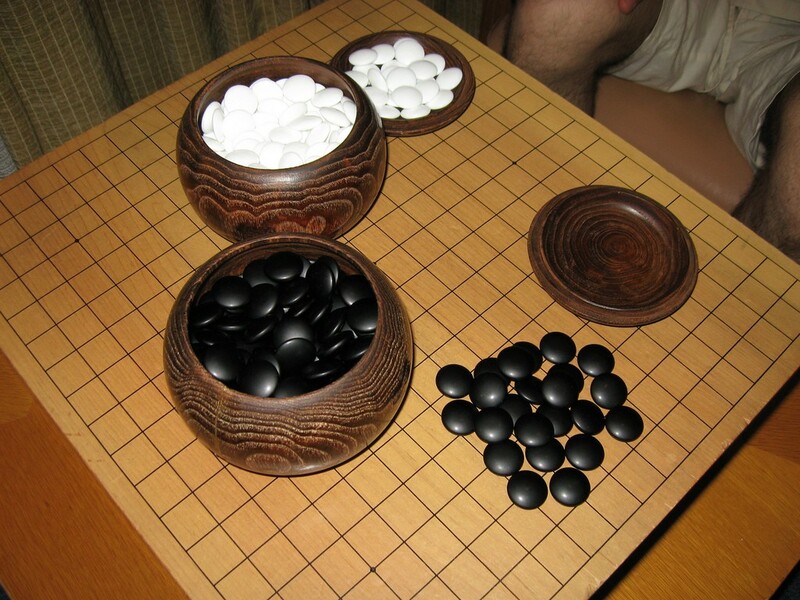 Igo is played placing black and white stones on a square board. A professional game is played using a board with 19 rows and columns. However, for shorter games a board with less grids can be used, such as 9×9 or 13×13. The board is cleared in the starting position. Igo is a game where the two players battle for territorial control. Similarities can be drawn to military strategy. The point is to demobilize the opponent. When a player’s stone is surrounded by the opponent’s stone, the stone is removed from the board as the oppnent’s prisoner (Hama). In contrast, the opponent’s territory can be occupied if the player can break the opponent’s strategic formation. A player can take over the opponent’s territory if he is able to break through his opponent’s defenses. In this way, the control of the board fluctuates drastically over the course of the game. There is even a technique to exchange territories and captives. Igo is a very profound game and difficult to achieve mastery. Watch the video below for instructions on the game of Igo. Go visit an Igo salon! Diamond Igo Salon in Kojimachi, Tokyo. A classroom for students of Igo.One-on-one lessons available.